Found one file extension association related to Anti-Malware and 1 file format developed specifically for use with Anti-Malware. 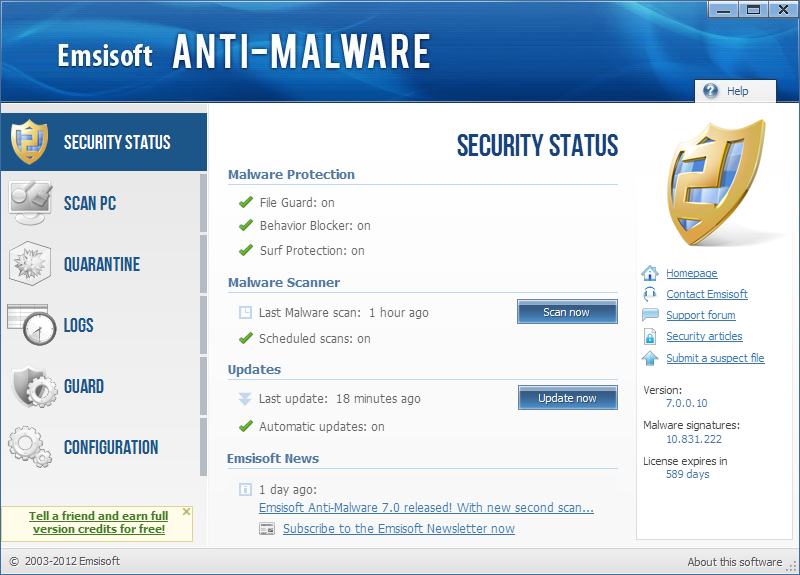 Emsisoft Anti-Malware is a powerful trojan scanner and remover which detects more than 4 million different types of trojan horses and other malwares. So it is the perfect addition to your existing antivirus software. The Emsisoft background guard prevents harmful programs running on your PC. It blocks Malware before it can become active. To do so, it uses our unique and highly effective behavior analysis technology to provide an Intrusion Detection System (IDS) which alerts you immediately if any running programs exhibit suspicious behaviour. If you need more information please contact the developers of Anti-Malware (Emsi Software GmbH), or check out their product website.